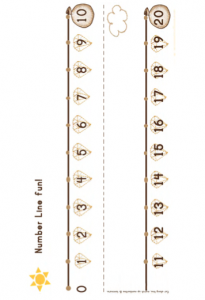 Here is a nice, clear number line up to 20. 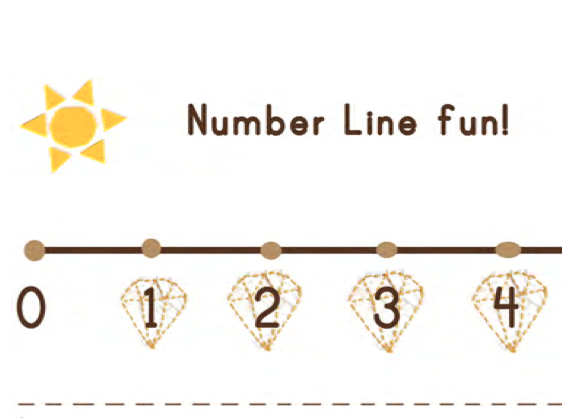 You can place jewels in each spot as you count, or just draw lines. 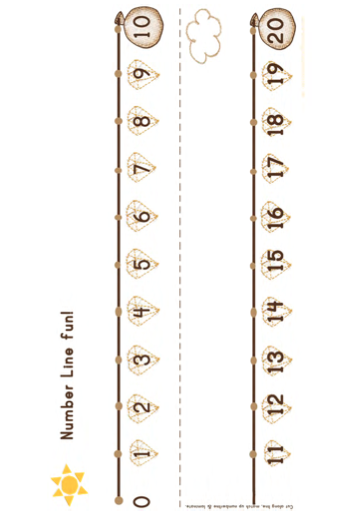 It is really hard to fit a good number line across a page of a paper, so this one is intended to be cut and pasted to make an extra long one. This one is ideal for addition and subtraction up to 20. Enjoy!